When you choose a traditional hardwood product, you get a product that will last for decades. From a traditional red or white oak to rustic hickory or smooth maple or even more unique species such as Brazilian Cherry or Walnut, we’ve installed it all! 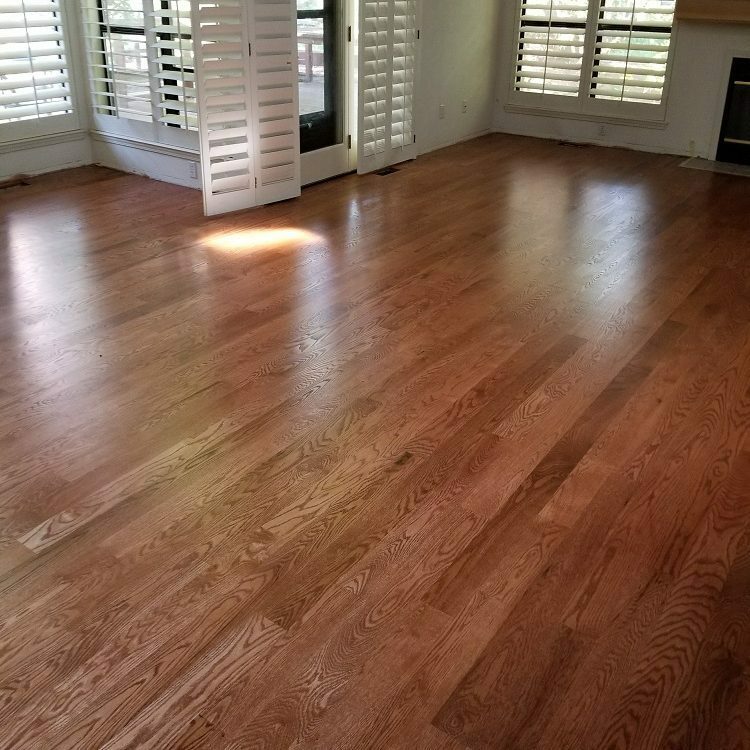 Unlike other flooring products such as laminate or engineered flooring, hardwood can be sanded several times over its 30+ year lifetime. With normal wear and tear, you’ll want to maintain the beauty of your floors with a new top coat every few years. Or maybe you want to change up the look with a custom stain or sand out scuffs and scratches to update your floors to look brand new. Check out our Gallery and Installation page to see a sampling of the different types of traditional wood flooring options. Check out our Hardwood Refinishing page for more on updating your existing hardwood floors. For customizing your new flooring project or to add new features to your existing hardwood floor, see our Stairs, Stains, and More page.